We are just days from saying goodbye to 2016 and hello to 2017. With new beginnings, we always have to think about what we want and need to leave behind to accomplish our goals. Here is a non-exhaustive list of trends, attitudes, habits and people I believe that we should leave in 2016. Accomplishing goals requires leaving some things behind. Moving forward demands that we discard unwanted and unneeded cargo from our lives. There are a few reasons why we should leave certain things in 2016. It’s important that we decide today that we are going to leave certain things behind and focus most of our attention towards the future. There are several reasons we should leave our past behind us. Living in the past leaves old doors open and keep new doors closed. The past keeps us from actually focusing on the future. If we don’t leave the past behind, we can’t truly move on to what God has for us in the future. It is futile to spend good energy on what we cannot change. On this list are attitudes, habits, and trends that I think we should vow never to bring into 2017. In no particular order and without commentary on each one, here are some things I believe that we should leave in 2016. Taking selfies at funerals. Disrespectful. Distressed clothes, especially jeans. There is trendy, and then there is downright bummy. Pokemon Go. We will look back on this trend and wonder what in the world were we doing. Counting babies ages in months when they are over 1-year-old. “Dabbing.” This move has run its course, and it’s time for something new. Challenges. The “running man” and “mannequin challenges” were cool in 2016, but I think they should stay there. For reals, though. Social media subs. (sub-Tweets on Twitter or sub-posts on Facebook). Talking TO people, you have issues with, is healthier than talking ABOUT people with whom you have issues. Thus, have the courage to have crucial conversations. Racism. Click here and see why racism is irrational. Racism doesn’t deserve a safe place in any year. It is irrational and most of all sinful. Homophobia (Intense dislike, prejudice, and fear of gay people. Click here and see how we can respond to the homosexual community. Xenophobia (Intense or irrational dislike or fear of people from other countries). All people are image-bearers and deserve our respect and care. Believing that everything has to be perfect before you make a decision. The alt-right. See numbers 1-3. Believing that your failure is final. You can bounce back after a setback. Attempting to control things out of your control. Guilt and shame for not measuring up to other people’s unrealistic expectations. Unforgiveness. Jesus forgave us. So, we have the capacity to forgive others. Guilt, Shame, and Fear. These are burdens that we were never meant to carry. Worrying about the future. Only God controls the future. Therefore, I think we should trust the One who alone knows and controls the future. Racist police officers who mistreat people of color. Not all cops are racists, but there are a few that are, and their racism negatively affects the way they treat people of color. Dishonoring and killing police officers. Enough said. Letting other people write your story and control your life. Procrastination. No more delaying, postponing and putting off. Do what needs to be done. Trying to fix the unfixable. Trying to please everybody. When you try and please everybody, you end up pleasing nobody, especially our Heavenly Father. Asking God to let unhealthy foods nourish our bodies. Yes, God can purify foods, but he gives us the wisdom to make wise food choices. Blaming other people for your irresponsibility. Therefore, take responsibility for your life. Entertaining anything and everything that puts distance between you and God. Talking about politics on Facebook. Ruptures and breaks so many relationships. Fake and toxic friends. I’ll be writing in the future about kinds of toxic friends. People who continually disrespect your boundaries. Individuals who always lie to you. People who will talk ABOUT you rather than talk TO you. Individuals who drag you back to your old lifestyle. People who push you away from God rather than encourage you to draw closer to Him. Obviously, this is not an exhaustive list, but I think it moves us in the right direction. In Isaiah 43:18, the prophet tells us that we should forget the former things and not dwell on the past. I think this is good advice. Paul, the writer of almost half of the New Testament, in Philippians 3:13-14, challenges us to leave the past behind and press toward what lies ahead. Therefore, because the future is unknown to human beings (Ecclesiastes 8:7; Proverbs 27:1), it is wise for us to trust the God who knows the future (Psalm 139:4), who can reveal the future (Daniel 2:45), and who controls the future. 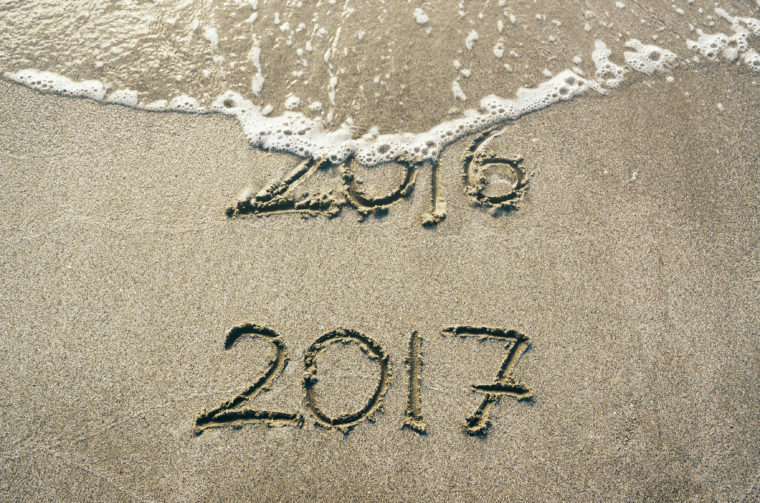 I am praying that you will take the time to reflect on what things you need to leave in 2016 to move forward toward your goals in this coming year. What are some other trends, attitudes, habits, and people you should leave in 2016?